Do you remember that line about “that’s not a knife, this is a knife?” That is kind of how I feel about LED Lenser® flashlights. Perhaps not the best known brand in the United States, LED Lenser® flashlights are military standard, German-engineered flashlights, that put to shame nearly anything else out there in the promotional market for lighting solutions. The LED Lenser® F1 is a great example of the power packed into this line of flashlights. This small and compact flashlight is oh so powerful at 400 lumens. It is waterproof, it is deisgned not to roll away if you put it down, and even features a stun setting with the light flashing so quickly that it renders a person momentarily blinded. (And yes we are big kids here at the office, so the first thing we did with our sample was blinding the guy in the next cubicle). The imprinting method on the LED Lenser® F1item is laser engraving, so as tough as the LED Lenser® F1 is used, your logo is going to stay in place. That makes the LED Lenser® F1 a great idea as a commemorative gift to EMS, Police, or Military audiences. The imprint area is a subtle 3/16″h x 9/16″w. 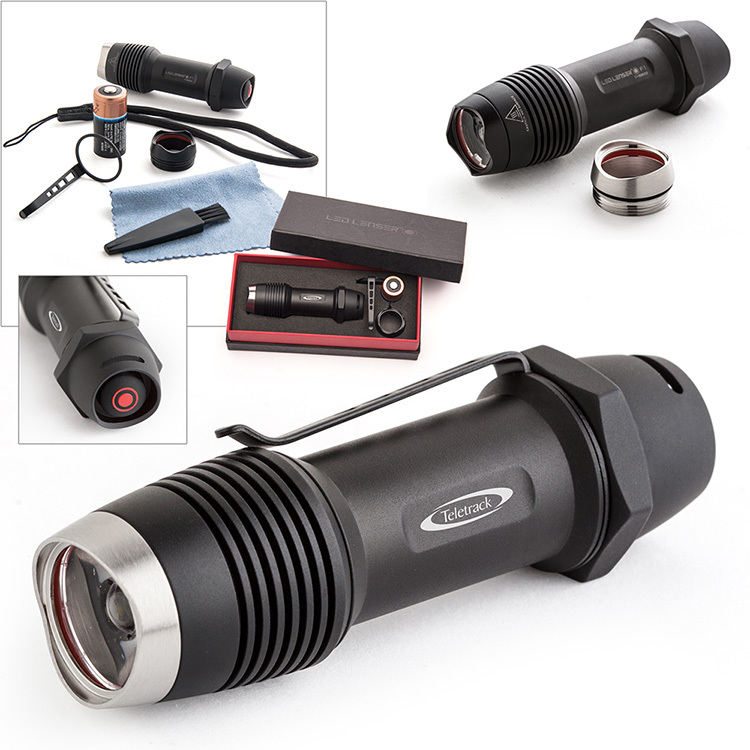 The LED Lenser® F1 comes in retail packaging/gift box and includes batteries, and cleaning tools for the flashlight. The tagline they use on http://www.ledlenserusa.com is the best lights your hands can hold. Please contact us at info@proformagreen.com if you would like more information on the LED Lenser® F1. This entry was posted in flashlight. Bookmark the permalink.